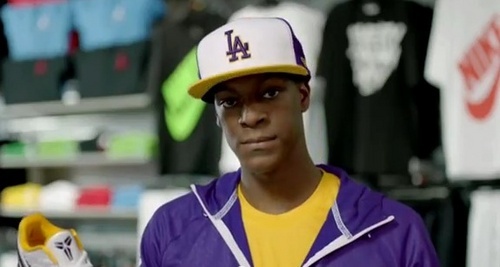 rondo as a laker LOL. . Wallpaper and background images in the Rajon Rondo club tagged: rondo celtics nba commercial. This Rajon Rondo photo might contain gatter, wicket, right fielder, rechts fielder, recht fielder, tennis-profi, profi-tennisspieler, tennis pro, and profi-tennisspielerin.